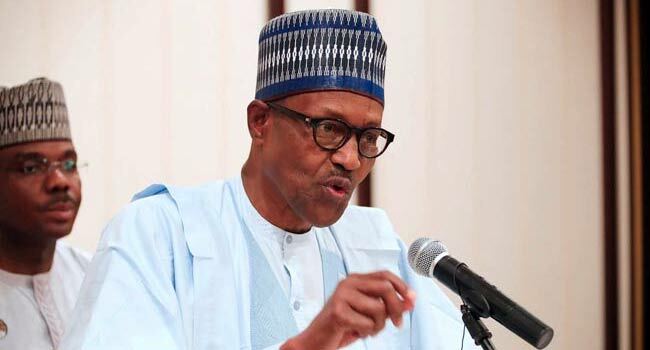 President Muhammadu Buhari has taken a swipe at members of the All Progressives Congress (APC) who defected, to join other parties. He described them as weak, adding that they decided to defect because their selfish expectations from the party were not met. He said, “Today, I am pleased to say the weakest amongst us, whose selfish expectations did not align with our selfless vision, have exited our party. The President made the comments on Tuesday while receiving a group that purchased the expression of interest and nomination forms for him. The group, called the National Consolidation Ambassadors Network (NCAN), had paid the N40m and N5m for the nomination and expression of interest forms respectively, while the president was away in China for the Forum on China–Africa Cooperation (FOCAC). The president thanked the group and called on other groups who may have made similar moves to use their contributions to support young aspirants who may not be able to afford the fees for various positions. He said, “In accepting this nomination form from the NCAN today, I have asked all the other groups who have offered to buy my nomination form to reassign their contributions to the Not Too Young To Run wing of the APC. “Nigeria is blessed with many talented and visionary youth who have a lot to contribute. Many of them may not be able to afford the nomination fees set by our party. The contributions of willing individuals & groups will go a long way in supporting the next generation of leaders. “I have therefore requested that any remaining funds raised to buy my presidential nomination form be used to support these young, competent and dynamic future leaders”.